It is important to be aware of rights and responsibilities, even at a tragic time. When faced with personal injuries as the result of a work site accident (i.e. building collapses, fires, explosions, etc. ), as either a worker, owner, or a bystander, it is important to realize that multiple parties may share in the responsibility for the injuries or losses sustained. All of the possible people who could be responsible share a non-delegable duty of reasonable care to protect individuals from known or reasonably discoverable dangers. This duty to ensure a safe working environment extends not only to the employees, but to all individuals expected to be in or around the work area, including but not limited to homeowners. Heightened caution must be exercised when dealing with natural and propane gas. Natural gas and propane are widely used in homes, businesses and work sites. Natural gas and propane are highly combustible and extremely flammable, as we saw yesterday. Negligent maintenance or care when working with such dangerous gases results in serious and permanent damage to people and property. The cause of most gas explosions is likely the result of a defective product or human error. A defendant’s negligent actions or inactions can be traced back to a defendant’s failure to follow general safety policies and procedures; use of outdated and/or faulty equipment; lack of inspection or maintenance; failure to adhere to governmental safety guidelines; or simple human error. Determining who is ultimately responsible in a gas or propane explosion requires extensive investigation. Further, it is crucial to know that some of the potential defendants (i.e. governmental and quasi-governmental entities) may have tort immunity protection. What that means is they must be notified within a very short period of time from the date of the incident and if they are not, a claim will be barred. 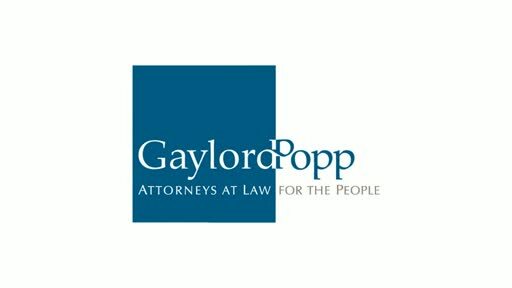 Why this is so important is because people don’t think about this, don’t know about this, or won’t think about pursuing any action until it’s too late which is why if you have any questions about these types of claims you should contact Gaylord Popp, LLC at 609-771-8611.